Products purchased from one of our physical stores may be returned to that store for a refund and/or return. Unfortunately such purchases cannot be returned to the Website store, however the Customer Service Team will be happy to assist you with exchanging your purchase where possible. Should a floral, plant or hamper delivery be defective in some way, we will replace the item with a suitable replacement. If for some reason that is not possible, then a refund will be issued. We cannot refund or credit where an incorrect address has been provided. If you are not happy with your product that was purchased on-line for any reason, Darling Buds Florist will be happy to exchange it or provide you with a credit on your customer account, providing the product is returned to us in its original condition, undamaged and unopened. The customer will pay all freight charges. Further conditions may apply for those subscribed through our partner program, or where a purchase order has been fowarded. Defective items must be returned to Darling Buds Florist within (14) fourteen days of the purchase date to be eligible for replacement. Depending on the fault, certain products may need to be returned to the manufacturer for inspection. Items will be replaced with the same item originally purchased. For items that cannot be replaced, a full refund will be offered. 1. 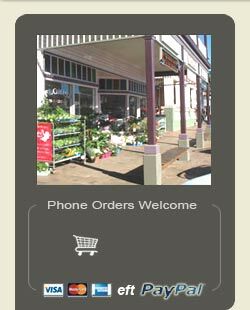 Complete the on-line contact form, or contact the Darling Buds Florist Customer Service team on 1300 664 176. A customer service representative will evaluate your return request, record all the necessary product return information and issue you with a Return Authorisation Number (RA). The Customer Service Representative will also provide you address details of where to send your return. You must obtain an RA number immediately so as to ensure that you are eligible for a replacement or refund. 3. As soon as the return has been received, a replacement product will be shipped. • The return must be received by Darling Buds Florist within (14) fourteen days of the RA number being issued. 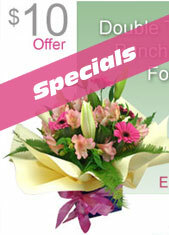 • Replacement product will only be shipped after the faulty item has been received by Darling Buds Florist. • Any item that is returned to Darling Buds Florist without an RA number will be returned to sender. • If you feel that your return falls outside of our policy, then you will need to complete the on-line contact form, or contact the Darling Buds Florist Customer Service team on 1300 664 176, to confirm if your return can be accepted.